Hole & Corner magazine is all about craft, beauty and passion. Constantly promoting the very best local trade and master craftsman from around the world. The magazine is all about the people who spend more time ‘doing’ than ‘talking’. If you to believe that content is more valuable than style, then you’ll fully enjoy this magazine. Buy a single copy or subscription to Hole & Corner magazine. Hole & Corner magazine is published twice a year and is dedicated to authentic stories from real people. No matter if the talented individuals are professional or amateur, the magazine delves deep to uncover what motivates them to be creative. 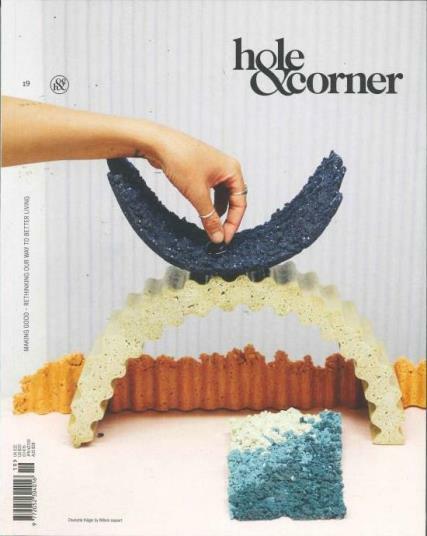 The content of Hole & Corner magazine revolves around creativity and craftsmanship. Allowing for you to appreciate the wonderful beauty of the physical world and skill need to craft such items that take several years to master. The magazine features many interviews with individuals who embody the Hole & Corner lifestyle. This allows for there to be many opportunities for you to buy products from the featured makers. You even may be able to go to a live show, where you’ll get to witness their unique skills up close and personal. Inside each issue, you’ll find features on crafts such as cheesemaking, shoemaking and to everything in between. All the articles are well-written, by people who understand the dedication required to become a craftsman.